I don’t know how I missed On the Media’s powerful multi-part series on myths about poverty, but I did. Busted: America’s Poverty Myths draws on some of the same research that I use in my critiques of the case against charity. This series is both a powerful indictment of how poverty is portrayed in the media and a helpful corrective. If you don’t have time to read book after book about the reality, psychology, and economics of poverty, I highly recommend listening to this series… repeatedly. Part 2: Who Deserves to be Poor? 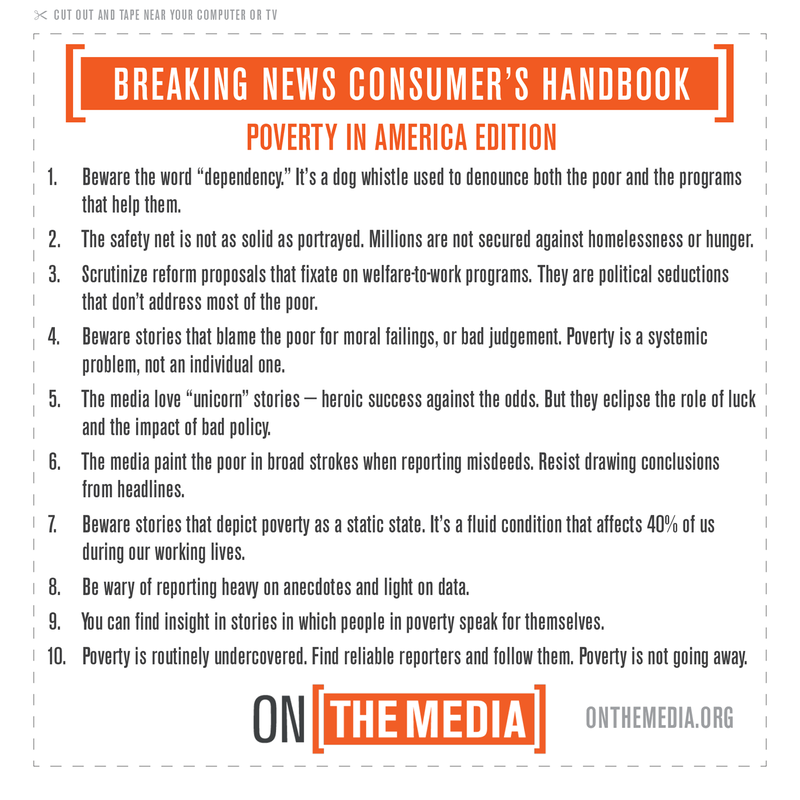 I also recommend downloading, printing, and using the consumer’s handbook that On the Media has produced. That’s the web I remember before jail. That’s the web we have to save.